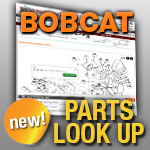 We have replacement commercial Bobcat pulleys for your lawn mower repair or maintenance. If you need lawn mower pulleys, including Cast Iron Pulleys, Heavy Duty Cast Iron Pulleys or Variable Speed Pulleys, Jack’s is the place to check first. Look below to find the type of replacement Bobcat pulley you need.